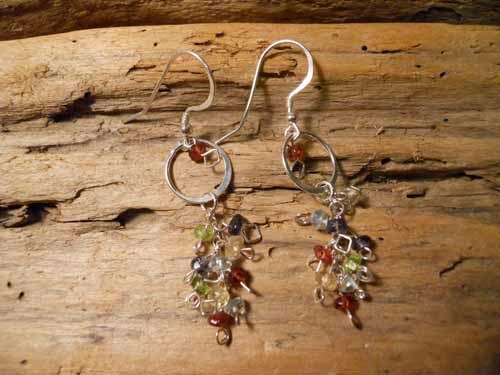 These earrings are handmade with sterling silver wire. 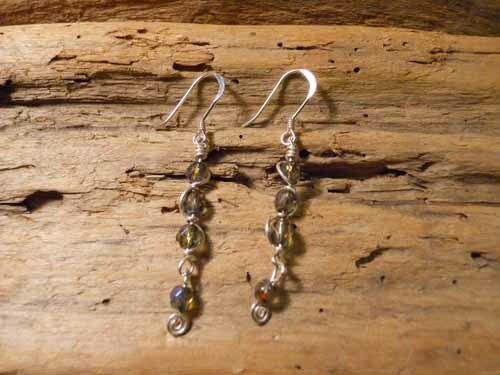 Semi-precious stones hang from hammered silver circles. 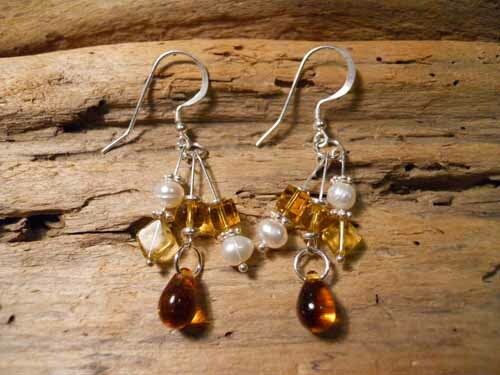 The faceted stones include: peridot, garnet, amethyst, citrine and aquamarine. 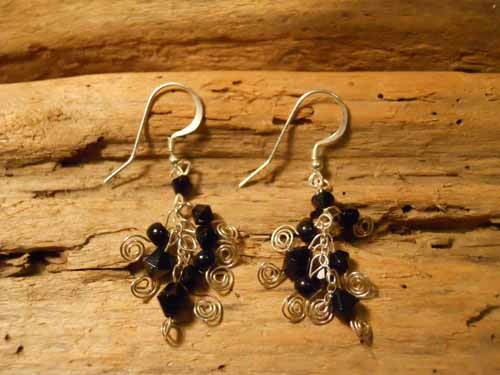 They are finished with swirls and squares giving these earrings a funky element. They measure approx. 2 ¼ inches.